I’m re-reading Feynman’s Rainbow, a Search for Beauty in Physics and Life, by Leonard Mlodinow. A freshly minted PhD in physics, Mlodinow came to Caltech on a postdoctoral fellowship in the 1980s. There he met Nobel Laureate, Richard Feynman. The book is his look back at the conversations and ideas shared with Feynman. Feynman shaped the landscape of modern physics, but his mind reached far beyond his discipline. His insights into all aspects of human experience make for wonderful reading. He died of cancer–a disease he was battling when Mlodinow was at Caltech–in 1988. (I would suggest James Gleick’s biography of Feynman, Genius: The Life and Science of Richard Feynman if you want to dig deeper.) Mlodinow’s rendering of this vastly creative and productive personality is fascinating. In particular, I found this overview, quoted below, insightful. 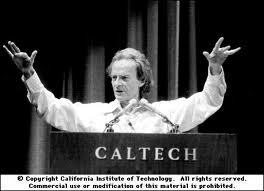 Feynman used to say there were two kinds of physicists, the Babylonians and the Greeks. He was referring to the opposing philosophies of those ancient civilizations.The Babylonians made western civilization’s first great strides in understanding numbers and equations, and in geometry. Yet it was the later Greeks…whom we credit with inventing mathematics. This is because Babylonians cared only whether or not a method of calculation worked…not whether it was exact, or fit into any greater logical system….To put it simply, the Babylonians focused on the phenomena, the Greeks on the underlying order. I am drawn to metaphor, so my curiosity was piqued at the notion that this concept might be applied to a larger context, to a society or time, Babylonian verses Greek culture. Logic verses intuition. I wonder, to continue running with the generalities, where we, us moderns, might find our place on this scale? Technology is a logical structure. Yet, most technology, consumer technology certainly, is designed to exploit the intuitive desires of the user. My hunch is that rationalism prevails, that the Greeks rule at the end of the day. As they say, numbers talk. That is not bad, nor good. Just an observation. Where the scientist explains the universe, the poet shows us the stars. I wouldn’t exactly say “the Greeks prevail”. Far from it. Feynman was basically saying that we need to give heed to observation and then deduce a theory from it. That is the holy grail method of the way science operates. The Greeks were interested in the “why?” question, which didn’t advance science, but advanced philosophy. Not saying the “why?” question is bad, just not always necessary. They kept asking this question of everything, and not everything has a reduced answer from the “why?” question. For example, what is the point of the question, “why does the sun give us heat and life?”. The ancient Greeks would have been fascinated with this question; the Babylonians, and I suspect even modern scientists, would dismiss the question as unnecessary and relative to one’s thinking. The fact of the matter is, we need to apply both the power of Babylonian numeric and geometric thinking to the Greek rational and philosophical thinking to make science progressive. However, I can see why physicists wouldn’t really worry too much about philosophical questions, but would rather know the how, which is something the Babylonians would have later asked, whether they interacted with Greek thought or not.